BrightPay was announced the winner of ‘Payroll Software of the Year’ at this year’s AccountingWEB’s Software Excellence Awards. The awards, which took place in London, are held by AccountingWEB - an online community for accounting and finance professionals in the UK. The winner is decided by a public vote, whereby members are asked to rate the software systems they use to determine the best products on the market. 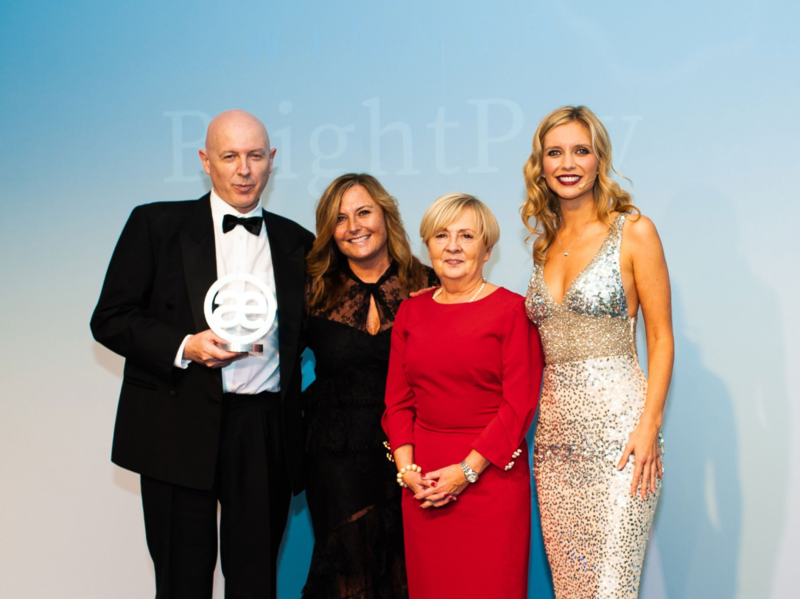 It’s a great achievement for BrightPay to win the prestigious award, especially when you look at the number of larger software companies offering payroll in the UK. BrightPay also has a 99% customer satisfaction rate, and is used to process payroll for over 120,000 businesses across the UK and Ireland. In the Irish market, BrightPay is currently preparing for PAYE Modernisation, a real time reporting system that is being introduced on 1st January 2019. Essentially, employers will be required to report pay information to Revenue each pay period. This overhaul of the Irish PAYE system aims to ensure that employers and employees have the most accurate, up-to-date information relating to pay and tax deductions. A similar system was introduced in the UK in 2013, which was seamlessly integrated into BrightPay UK payroll software. We have the relevant experience to ensure that PAYE Modernisation is just as streamlined in BrightPay Ireland. By switching to BrightPay Ireland, you can be assured that you have PAYE Modernisation compliant payroll software. Book a demo today to see how BrightPay can help you with PAYE Modernisation. Are you missing out on our newsletter? We will not be able to email you without you subscribing to our mailing list. You will be able to unsubscribe at anytime. Don’t miss out - subscribe today! Which is really better - the existing PAYE system or PAYE Modernisation? BrightPay Ireland - Customer Survey - The Results are in! Complete the form below to register interest in a Thesaurus Connect demo. Your request for a Thesaurus Connect demo has been sent. We'll be in touch soon. Complete the form below to sign up to the Thesaurus Software mailing list. You have been successfully signed up to the Thesaurus Software mailing list. Complete the form below to refer a friend to Thesaurus Software.